We are proudly introducing Sino Arabia Logistics Services Company as new member of the Project Logistics Alliance for Kuwait. Sino Arabia Logistics was established in August 2018 as a subsidiary of Portal General Trading & Contracting which was established in 2009, decided to have a separate company attending the needs of their clients to handle big and heavy projects. Due to the mother company, Sino Arabia Logistics has an experienced and extremely motivated team to handle any type of cargo. 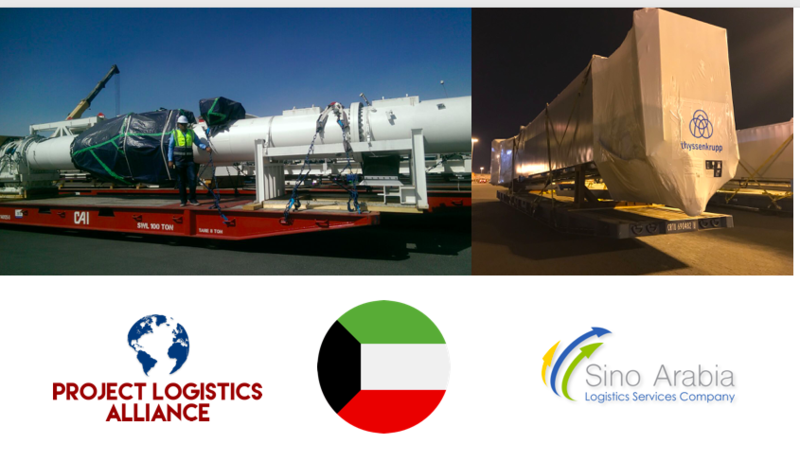 No matter how complex, heavy, oversized or abnormal your project cargo is, the engineers of Sino Arabia have the skills to develop the perfectly fitting transportation solution for you. Sino Arabia is operating in various industries. The project team has gained their expertise from different projects in the Oil & Gas sector & and from moving equipment like renewable energy components, power plants, cranes, reactors and port construction equipment. Welcome to the Project Logistics Alliance, Sino Arabia Logistics! Are you ready for good news this Tuesday? 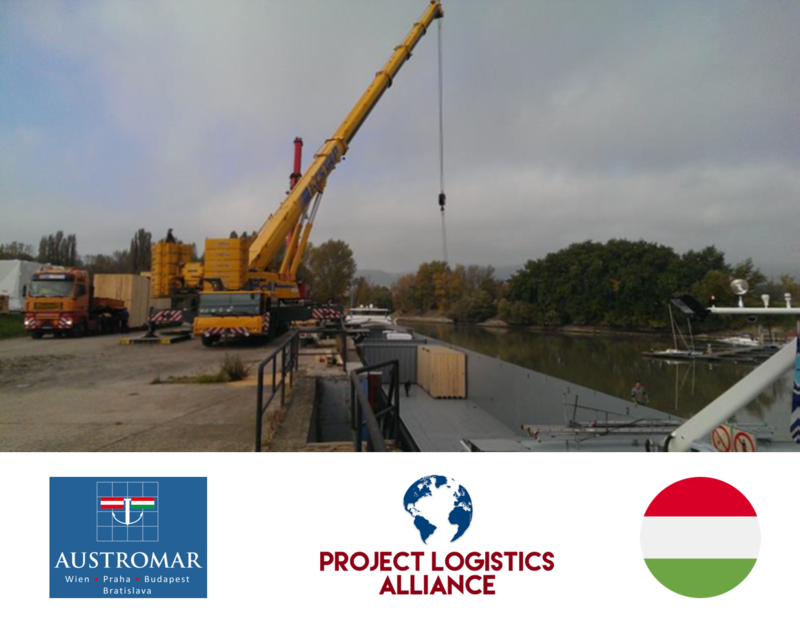 Here they come: we are introducing Austromar as our first member for Hungary in the Project Logistics Alliance! Austromar provides turnkey solutions for complex OOG and Project Logistics shipments exclusively to forwarding companies. With offices located in Prague, Vienna, Bratislava, and Budapest they are following the mission to establish worldwide shipping solutions for Breakbulk and Project Shipments from and to the region of Central East Europe. Austromar’s has its main strengths in providing project setup and planning and aims to provide you with the best combination of all the possible Intra-European transportation methods and seaports – whether the pre-/on-carriage via land or river – in order to ship your project cargo to its destination efficiently. Further, they are specialized in the transport of heavy pieces, building machines, shipments of steel products, bulk cargo, other cargoes to/from any European ports worldwide by Multipurpose Heavy Lift Vessels. 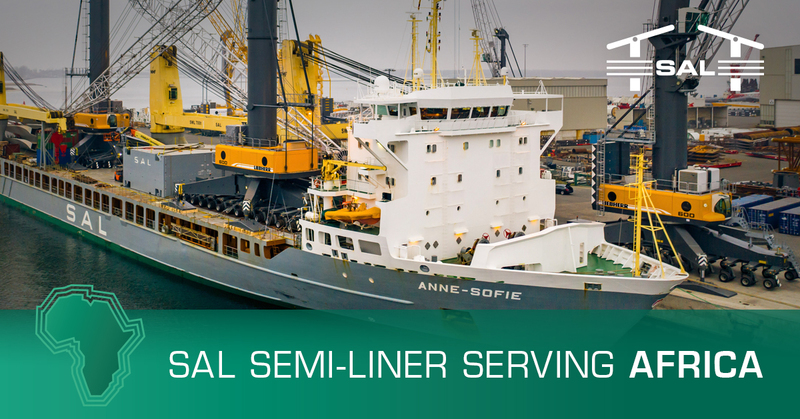 The list of services provided also contains liner breakbulk services, ro-ro services, OOG – ODC transports/ special container, port manipulation including loading & lashing, as well as trucking services and barge transportation. Welcome to the Alliance, Austromar! Bati Group, member of the Project Logistics Alliance for Turkey, has been awarded the transportation of the steel structures to Qatar from Turkey for the 2022 World Cup. Bati recently transported another 80 tons and 550 cbm of steel to Qatar, to help the construction companies build and deliver the stadiums on time. Though the stadiums are going to be built in Qatar to be used during the world cup, they are fully demountable and will be gifted to Africa afterward for further use. This is to add value to world football and encourage this act worldwide. Bati Groups scope of work was to deliver the construction from factory door to port Hamad in Qatar. While executing this project, the biggest challenge was due to a lack of proper lifting points and the decentralized weight distribution. As you see in the photo, the biggest and heaviest piece weighed 40 tons and had a length of 26 meters, but it had no lifting points. Therefore, Bati had to improvise and calculate accordingly. The project which commenced on March 1st was successfully delivered to Qatar on March 13th. Congratulations to Bati to participating in such a meaningful project! We are very happy to share the good news with you, that the Project Logistics Alliance has a new member strengthening our presence on the African continent. As our first member for Senegal, we are introducing 2HL Group to you, owned and managed by Mr. Taleb Hoballah. The 2HL team consists of 28 experienced experts that handle projects, the transport of aid & relief goods, military and dangerous goods and equipment for the mining industry. With their headquarter being located right next to the port of Dakar, 2HL is always right where you need them to be and are able to provide an excellent service to satisfy their customer’s need. The company is also represented in Mali and Benin. Welcome to the Project Logistics Alliance, 2HL Group! 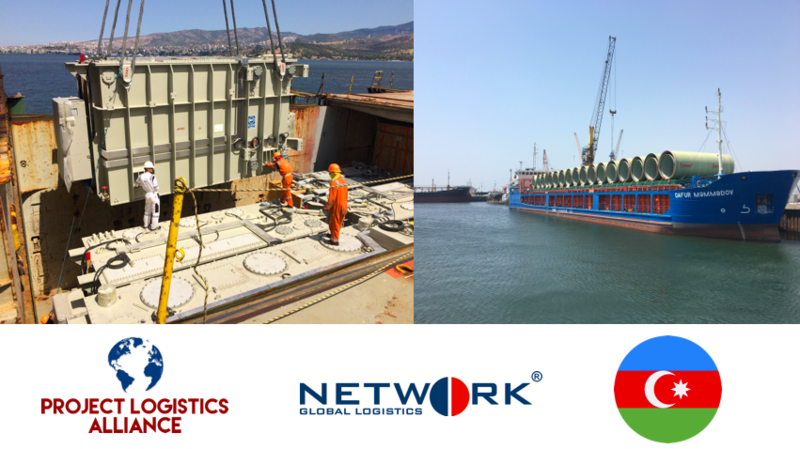 The Project Logistics Alliance is introducing Network Global Logistics as new member for Azerbaijan in our network. The company is operating in the logistics industry since 2008 and is specialized in industrial projects transportation and multimodal transports. In industrial project transportation, they have gained expertise by continuously developing its services in heavy transportation over the years. Network Global Logistics also has own vehicles available that allow them to provide their services to regions that require engineering and are hard to reach due to their geographical locations. With a customer-focused business approach, they are offering Project Transportation on sea, road, railway and air, Heavy Transportation, Multimodal Transportation, Maritime Container Services, Chartering, Surveys, and Lashing, Warehousing, Customs Clearance, and Insurance Services to their customers. 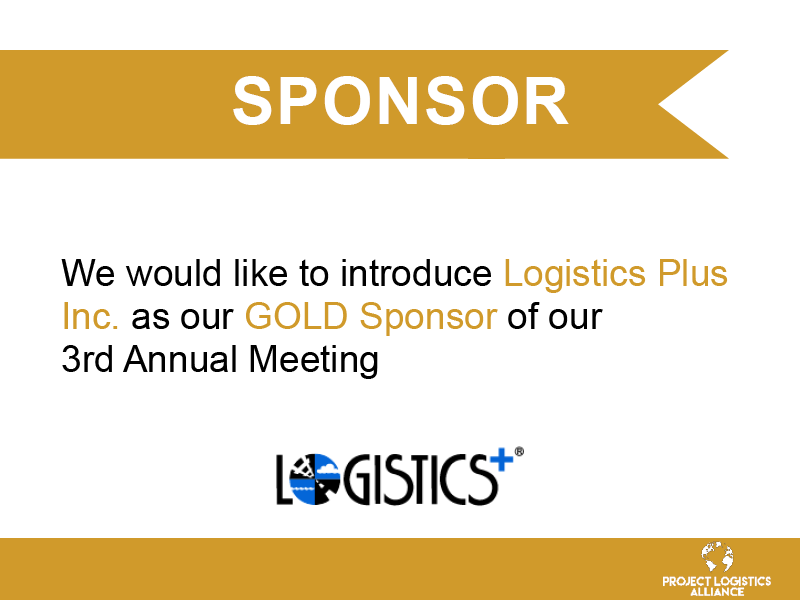 Welcome to the Project Logistics Alliance! 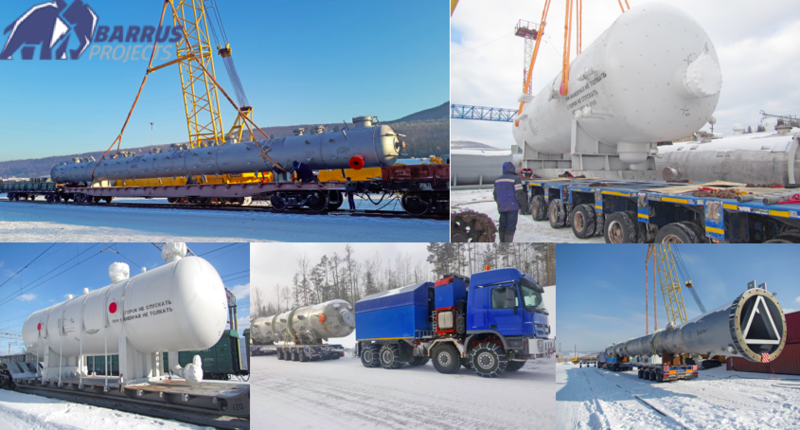 Member of the Project Logistics Alliance, Barrus was commissioned with the grand project of delivering the oversized equipment of over 35.000 FRT to Yarakta and Markovo oil and gas condensate field (OGCF). The development of the gas part of the field of LLC “Irkutsk Oil Company”has begun at the Yarakta OGCF. It includes the construction of a complex preparation unit for natural and associated petroleum gas (UPPPNG). This unit is designed for the extraction and subsequent preparation of commercial propane, butane and gas condensate from a mixture of natural and associated petroleum gas. The mixture of propane and butane technical (LPG) will be transported via a 196 km long product pipeline from the Yaraktynsky OGCF via Markovskoye OGCF to the receiving, storage and shipment complex of liquefied petroleum gases (LPG) in Ust-Kut. The transport was carried out incorporation with LLC “Key Point Logistics” and was concluded successfully. We are proud to present to you the first project news from our new member Andina Freight, representing Peru and Chile. The cargo consisted of a medium voltage transformer with additional spare parts and materials. The total weight summed up to approximately 100MT and volume was about 250 CBM. 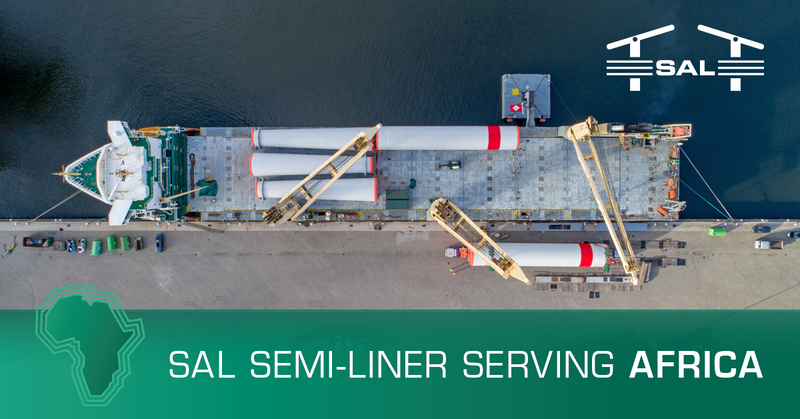 Seatech Shipping and Projects acted as origin agent in Mumbai, India while Andina Freight Chile acted as destination agent in San Antonio, Chile. According to Andina Freight, the most important challenge when a company is awarded an integral international logistics project, which includes internal transport, route survey and also on-site operations for the respective assemblies, is planning from their engineering desk everything: cranes capabilities, personnel assignments to the job, transport evaluation, as well as safety procedures and prior port and customs coordinations. We are happy to see that the planning worked out! Congrats Andina Freight on the project! We are very pleased to welcome the 3L-Leemark Logistics as our new member for Taiwan. 3L-Leemark was built already in 1993 and is headquartered in Taipei. Throughout the years they have reached a position they can call well-established in the Greater China Region including Taiwan, China, and Hong Kong. The services offered by 3L-Leemark cover the full range of Air Freight, Sea Freight, Marble Transportation, Dangerous Cargoes, Yacht Transportation and Heavy Projects. For project handling, 3L-Leemark will support you with tramper services, vessel chartering, Ro/Ro services, barge services, Discharging/Loading of Heavy Lift cargoes on/off vessels, Inland Transportation of Heavy Lift cargoes, Rigging & Installation, Civil works-Jetty construction, Civil works-Bridge reinforcement, and temporary and long term storage. Welcome to the Project Logistics Alliance, 3L-Leemark Logistics! Today we would like to welcome a new company to the Project Logistics Alliance. Barrus Projects has joined our network for Kazakhstan. With 31 offices in Europe, Asia and Africa Barrus Projects is represented in 12 countries. Barrus Projects is mainly focusing on the industries of power generation, Oil & Gas, Renewable Energy, Mining and Treatment, Petrochemical, and Manufacturing Construction. Their own In-house engineering department is a great asset to attend client’s needs with out of the box solutions, tailored to the specific requirements of each transport. Barrus constantly benchmarks their transportation solutions and by doing so consequently improve the value chain of their customers. Other value-added services are customs clearance and certification, that are being offered through associated partners. The company possesses 200 Axle Lines THP-SL, PST, Goldhofer/ Scheuerle, Mercedes Heavy Duty PM 250t, 8x8, 6x6, 8x6 and 8x4, Crawler Cranes (500 to 750t) and a Gantry System Enerpack (SLB 1100t, 1000t). At Barrus, you will benefit from a team that has the relevant qualifications to meet your specific requirements. Welcome to the Project Logistics Alliance, Barrus Projects! Alexander Global Logistics Bremen office, member of the Project Logistics Alliance for Germany, just started the move of 6 Grader from the supplier's factory to the final destination in Karshi, Uzbekistan. In order to protect the loaded cabins of the railway wagons in Paldiski, some have been prepared with add covers as you can see in the pictures. Congrats Alexander Global for the execution of this complex project! 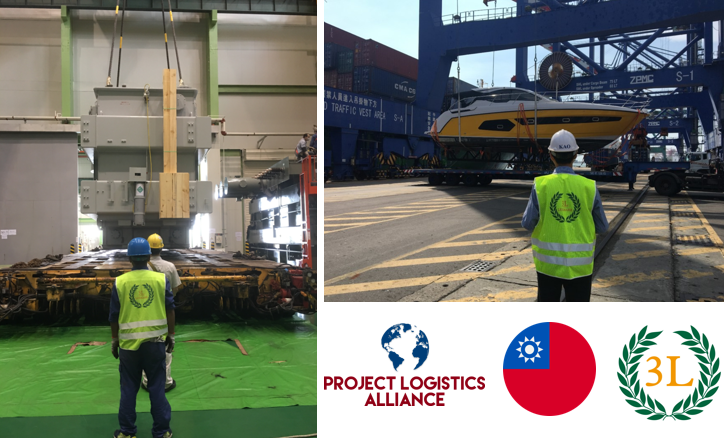 Member of Project Logistics Alliance, Viking Project Logistics recently carried out another project cargo shipment, loading at Izmir in Turkey, and offloading at St Petersburg Port in Russia. The carriage was completed by Maersk line and cargo was loaded in 12 x 40' FR and 2 x 40' HC containers. Congratulations Vikings! Looking forward to more news from you! The Project Logistics Alliance is presenting a new member for Tunisia: International Global Logistics Services (IGLS). IGLS is headquartered in Sfax, Tunisia has in total 10 offices in Tunisia, Algeria, and Libya and collaborates with over 200 companies worldwide. IGSL has 10.000 sqm of bonded warehouse area, 25.000 sqm of logistics warehouse area and a 12.000 sqm container and trucking terminal area. The warehousing area is part of the free zone of Zarzis. The range of transportation includes Air Freight, Sea Freight, and Road transportation. Regarding the handling of projects, IGLS is very experienced in the transport of Oil & Gas, Renewable Energy, industry projects, trades or medical goods and dangerous chemicals. They are offering complete logistics solutions to their customers and are designing these tailored to their customer’s particular needs. Another specialty offered by the IGLS Team is customs clearance, not only in Tunisia but also in Libya and Algeria. With their know-how and dedication towards excellent service, IGLS aims to establish good business relationships based on trust and maximum reactivity. 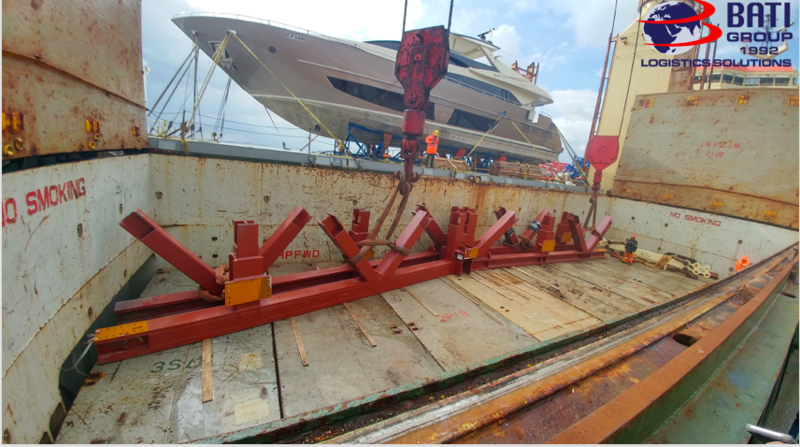 Europrim Shipping, Project Logistics Alliance member for Romania, recently completed the river/ road multi-modal shipment of an automotive press weighing 285 tons, dismantled into 3 pieces of 75,100 and 110 tons. 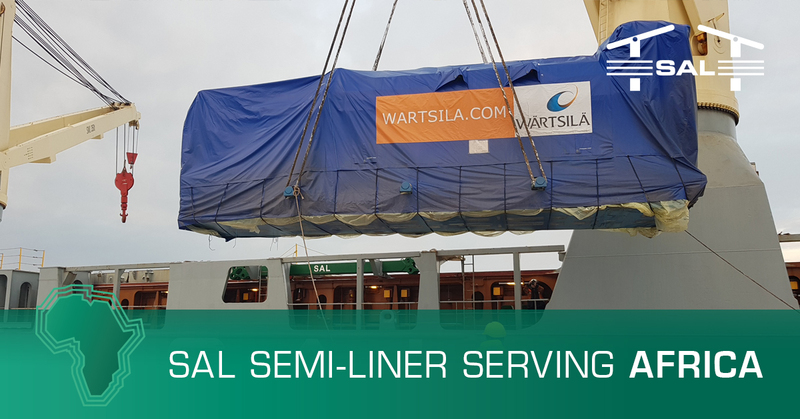 The pieces were received from the shipper in the Slovakian port of Bratislava and loaded on a barge chartered by our special projects team for a 7 days further Danube river voyage to the Romanian Constanta port. After receiving the cargo in Constanta, the Europrim operational team successfully managed the transshipment of the pieces onto special road trailers and organized the further door delivery to the consignee at Pitesti destination city, 350 km inland from the port. 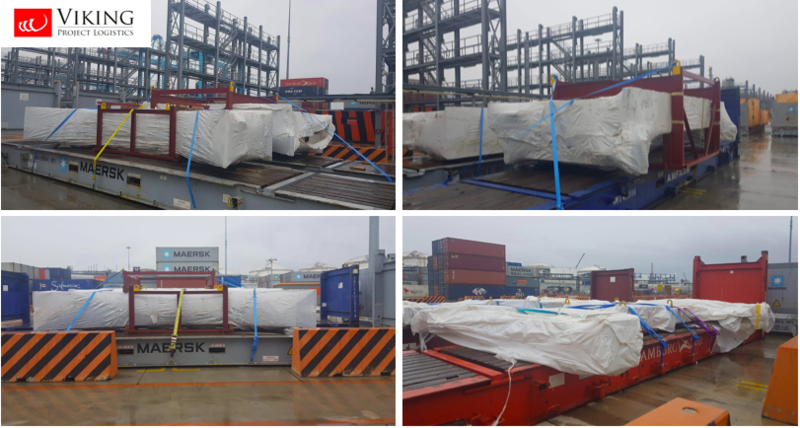 The three press components were safely and just in time delivered to the final consignee according to the agreed schedule. With this success, Europrim Shipping has proven once again its skills and expertise in the Romanian project cargo industry field, regardless size or weight. Congratulations to the Europrim Team! New member for Chile and Peru! Great news, we have another new member that we would like to introduce you to. Andina Freight has joined the Project Logistics Alliance and is representing Chile and Peru. With the experience of already 18 years in the transportation of special cargoes in various industries, the company has established itself in the market as a reliable provider of the full logistics chain “from door to door”. Andina Freight is specialized in the implementation of Solar, Wind and Thermoelectric Energy Plants, in commissioning and electrical jobs. The services offered by Andina Freight include studying, planning and implementing all phases of a transport including the following in particular: Oversized and special cargo, Multimodal transport design, Charters, Machinery and equipment transport, Customs Import and Export under all regimes, Feasibility studies and site inspections, Industrial packaging design and Bases, outsourced warehouses and logistics management. As part of HPCL’s Visakh refinery modernisation project (VRMP) of 9 MMTPA CDU & VDU project, Project Logistics Alliance member for India, Lift & Shift has delivered 2 columns which are the heaviest and widest columns to have been transported on Indian roads. The vacuum column had dimensions of 63.3 x 13.1 x 14.3 meters and weighed 990 tons. The columns were manufactured by Larsen and Toubro Limited, at their Hazira Yard and transported by multimodal route to Visakh. Lift & Shift was awarded this contract, and involved from the conceptualising of the fabrication of the equipment, all the way to making this transport a reality. The transport involved loading the columns at L&T Hazira which was done using 64 SPMT axles of LSPL having 512 tyres / 2 heavy duty remote control operated power pack units of 440 horse power hydraulically operated trailers. The columns were shifted from yard to L&T ‘L’ jetty, which was over 2.5 kms away, and then rolled onto the barge during high tide on LSPL ocean-going barge AF 281, towed by LSPL tugs. The tow took 30 days to reach Visakh outer anchorage on 3 Feb, after it left from L&T Jetty Hazira on 4 Jan. The planning was made so that the tow did not need to stop for refuelling and reached the destination safely. LSPL team monitored daily weather and was constantly in touch with the tug crew. Both columns were rolled-off on 14-15 Feb, and thereafter transported on 17 Feb and 24 Feb respectively from HSL to HPCL site, covering 4.5 km on the roads of Visakh in 5 hours of time. Congratulations to all associated with and involved in movement of the Crude Column today. The movement was very smooth, orderly and as per scheduled. The above was achieved due to excellent planning, co-ordination and support provided by all. A true example of teamwork. Congratulations and all the best. Dear Sameerbhai, Mr. Anil Lohana, Mr. Verma, Mr. Shashi, Hearty congratulations on the safe delivery of CDU and VDU at VRMP, HPCL, Vizag. It was another master piece of performance from your team. The longest and widest as well as by height the maximum size pkg. in the history of EIL projects has been effortlessly transported by you. Please convey my heartfelt thanks to each one of your crew on this monumental achievement. Excellent planning and execution. Well appreciated by everybody. Great job! Executed beautifully. Really appreciate the effort and professionalism shown by the Lift and Shift team. My best wishes for your future endeavours. Would like to have videos of the movement for L&T and as well as HPCL end for our archives and future presentations. Thanks, and congratulations once again. Well done team LSPL this is another feat in our records. I was very happy to see that all planning was done well and we delivered the equipment safe and sound to the client. And last but not least, a bit congrats from the Project Logistics Alliance team for the historical move! Great job guys! Project Logistics Alliance member, Atlas de Cargo recently completed the door delivery from Spain to Togo. The commodity transported was 611 Bundles of stainless steel wide Flange beams, that totalled up to 3094.984 MT in volume. Each beam had a length of 13 meters, and weighed 19MT. After being loaded in the port of Barcelona, the beams were shipped to Lome, Togo with Bimco (SAGA), after which they were delivered to the final destination in Ouagadougou, Burkina Faso. Great job Atlas de Cargo!